The holidays are all about absurdly gluttonous meals and sugary treats, both of which contribute to a horrifying fact we learned just recently: Americans typically gain one to three pounds between Thanksgiving and New Year’s Day, and most of us never lose it. But don’t trash that Christmas ham just yet: It’s possible to escape the holidays without gaining weight and without giving up your favorite grub, by conscientiously burning off every single calorie you take in. Below, you’ll find the average number of calories (from low to high) consumed during every type of holiday binge, and the amount of exercise required to break even. The Amount of Exercise Required to Burn It Off: One hour of stair climbing, at 575 calories per hour. This exercise also gives you buns of steel. The Amount of Exercise Required to Burn It Off: One hour and 45 minutes of aerobics, at 450 calories per hour. Doing aerobics also strengthens your heart and lungs, so you can comfortably run to the store for more milk and cookies. The Amount of Exercise Required to Burn It Off: One hour of intense treadmill running, at 900 calories per hour. 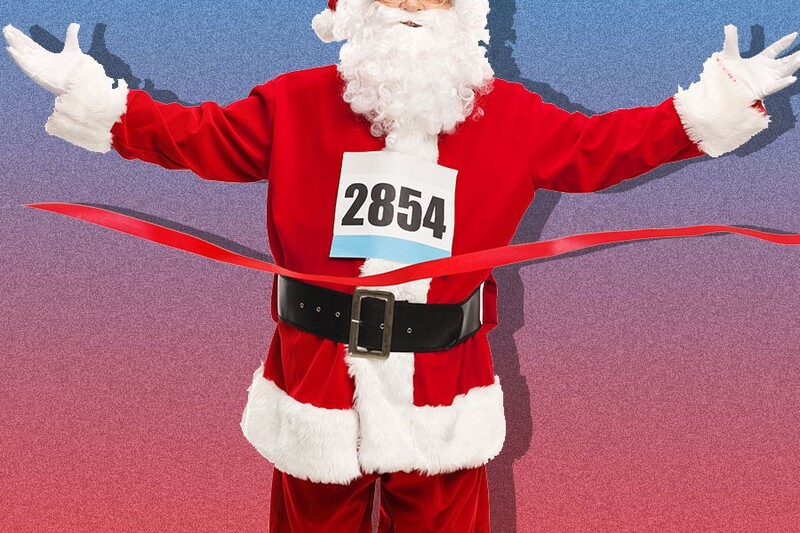 Running on a treadmill also lowers your blood pressure, which lowers your risk of stroke and heart disease — something you might worry about if you’re the kind of person who eats a whole box of candy canes in one sitting. The Amount of Exercise Required to Burn It Off: Four hours of playing outside with your children, at 250 calories per hour. As bonus, you’ll be the best dad ever! The Amount of Exercise Required to Burn It Off: Three hours of cross-country skiing, at 500 calories per hour. Using ski poles also strengthens your biceps, triceps and forearms (so it’s good for your drinking arm). The Amount of Exercise Required to Burn It Off: Three and a half hours of stationary bicycling, at 500 calories per hour. Stationary bikes are also known for encouraging the body to secrete feel-good hormones (like endorphins and serotonin), which induce a state of well-being, although probably not as much as the two helpings of Christmas dinner did. The Amount of Exercise Required to Burn It Off: Ten hours of playing drums, at 250 calories per hour. You’ll be damn good at drums afterwards, too. Just sayin’. The Amount of Exercise Required to Burn It Off: Six hours of pickup basketball, at 575 calories per hour. If you’re into shooting hoops, this exercise will feel more like fun than labor. As long as you keep the eggnog down, at least. The Amount of Exercise Required to Burn It Off: Eight and a half hours of mountain bicycling, at 615 calories per hour — just be sure to wear a (gingerbread) helmet.